Now that he's en route to a divorce from his longtime wife Jennifer Garner, Ben Affleck has found one hell of a hobby to keep him occupied. 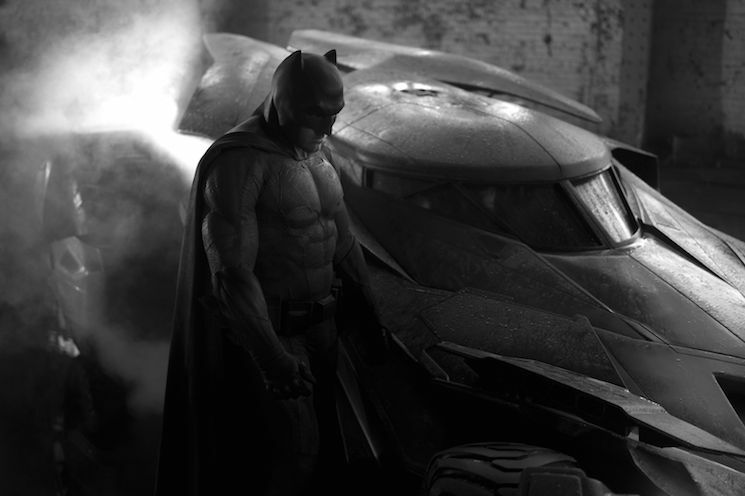 If rumours are to be believed, the actor and director will use both skills in an upcoming Batman film. Deadline is reporting a rumour that Affleck is in talks to co-write a stand-alone Batman movie in collaboration with DC Comics' chief creative officer Geoff Johns. When it's all said and done, he'll apparently direct and star in the film. If the rumours are to be believed, Affleck and Johns will have completed a script by the end of summer, with plans to shoot next year. Of course, it's not that far-fetched. Affleck is already donning the black bat ears for the forthcoming Batman V Superman: Dawn of Justice, which opens on March 25, 2016.